Kumara Rajah Muthiah Hall, Chettinad Vidyashram, R. A. Puram, Chennai. Cyber crimes against women and children are on the raise and they have been drastically victimized in the cyberspace. Some illegal persons try to defame women and children by sending obscene e-mails, stalking women and children by using chat rooms, websites etc, developing pornographic videos where women and children are depicted in compromising positions mostly created without their consent, spoofing e-mails, morphing of images for pornographic content etc. Massive awareness needs to be created among women and children regarding the safe use of Mobile Phones, Computers and the Internet. 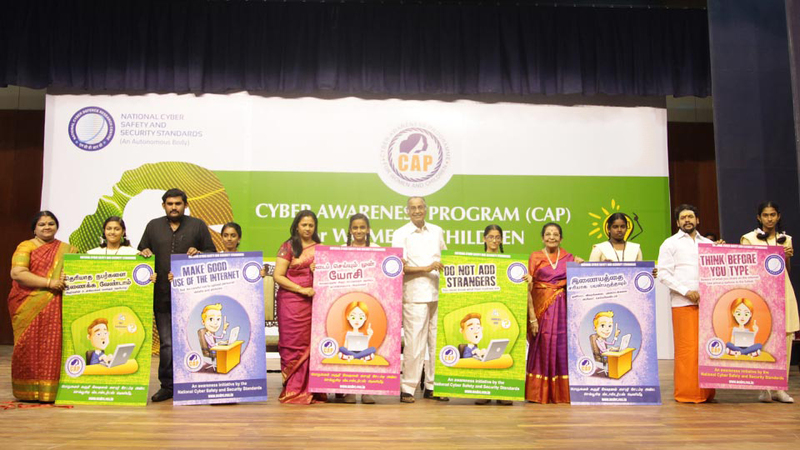 The National Cyber Safety and Security Standards is going to introduce Cyber Awareness Program (CAP) for Women & Children designed specifically for the safety of women & children. 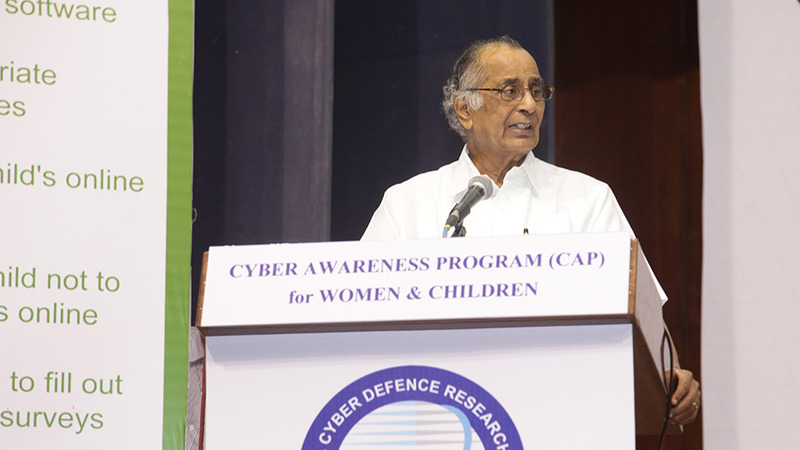 The CAP will focus on very sensitive issues towards the cyber safety of women and children. This program will encourage women & children to adopt safe computing skills and it will promote good security practice. CAP will aim to make women & children aware not only of the risks they face in Cyber Space, but also of the countermeasures they can utilize to protect themselves. By implementing this type of programs, we can allow our children to reap the full benefits of the Internet and enjoy a safer online experience. The CAP focuses on multiple issues linked with the current use of cyberspace by the women and children and creating awareness of the responsibility associated with the judicious use of this significant and powerful tool, without endangering the fragile security and social framework. We are bound by duty and principle to ensure that the advantages of cyberspace are utilized towards constructive initiatives across all domains, thereby spreading goodwill amongst one and all and the zest to contribute mightily to the development of our country. The mission of the CAP is to create awareness to the Women and Children and also providing security measures through our latest technologies. In an effort to achieve the same we have planned to organize cyber awareness programs, release cyber awareness posters and create a website towards cyber safety for women and children. 1. Release cyber awareness posters to create awareness among the women and children on cyber safety and security. 2. Encourage women and children to engage themselves in promoting cyber safety. 3. Review the existing research on the issues and dangers women and children face on the Internet. 4. Create guidelines to develop a cyber security awareness programme for women and children. National Cyber Safety and Security Standards have been started with great vision to safeguard the Nation from the current threats in the Cyber Space. The multi-dimensional structure of technology in the Cyberspace poses a great challenge in handling the complex problems in the Cyber Domain.